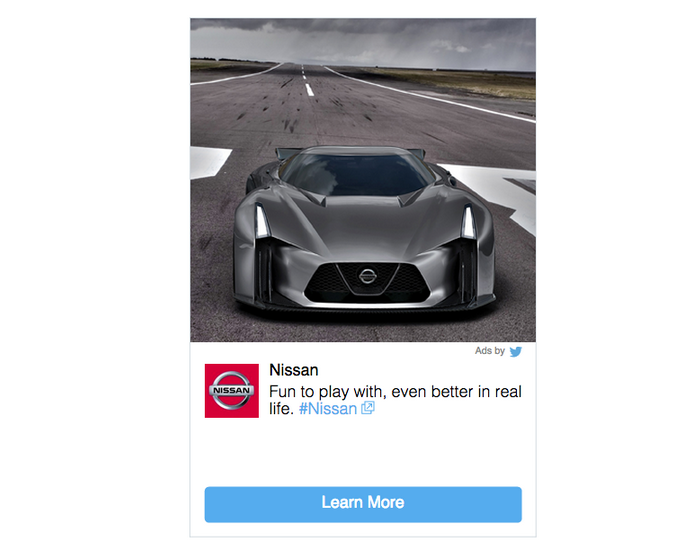 Twitter has announced that it’s experimenting with delivering Promoted Tweet ads beyond its own services. It’s starting the experiment by bringing them to Flipboard and Yahoo Japan. In a post on its Advertising Blog, the company points out that tweets already “flow from Twitter to other mediums seamlessly.” The obvious conclusion is: why not do the same with ads? It uses the example of Nissan running a Promoted Tweet campaign on Twitter, then reusing the same creative on Flipboard. Word that Twitter was working on plans to bring its ads to eyeballs beyond its own site and apps leaked out last month. At that time, ESPN’s SportsCenter app was also mentioned as a target for the scheme but it isn’t included in Twitter’s announcement today.